Loads of players were left stunned by the ending to Horizon Zero Dawn, and while we won't be diving into any detail about it here, it goes without saying that many eager fans have been waiting to see what developer Guerilla Games had in mind for continuing the game's story. Fortunately, the time for waiting has ended, as Guerilla Games has dropped the all-new Frozen Wilds DLC, and we've got everything players need to know in order to continue Aloy's journey into the frozen northern expanses. Do note that it's entirely possible to access The Frozen Wilds before the game's main campaign has been completed. While it's possible that some players might get more enjoyment out of the new DLC having completed the main story, such is not a requirement. Like with the story-based DLC released for other popular games, The Frozen Wilds is recommended for players who have already gained a fair amount of experience. While it's entirely possible to start the DLC while still in the early parts of the game, players would be wise to advance themselves up to somewhere around level 30 before tackling the new content, otherwise enemies may prove to be too powerful. 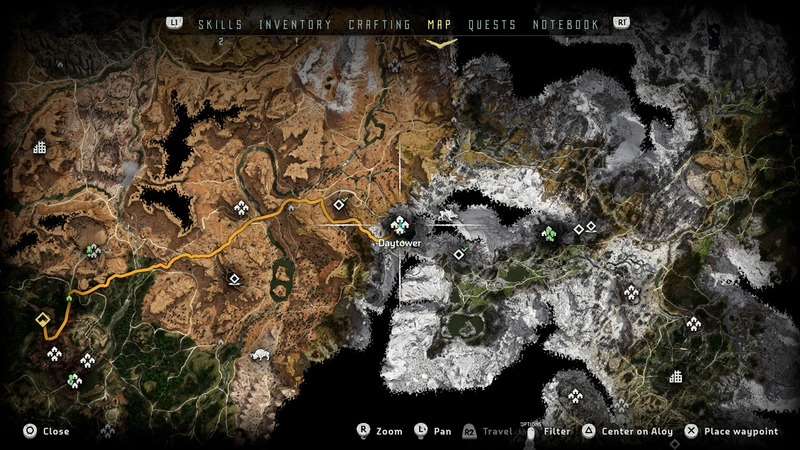 As for actually diving into the new content, players have been given three different options to kickstart the Frozen Wilds experience, with each of the three options available in separate and conveniently-placed areas spread across the in-game map. With that said, we've only so far discovered two of those locations, the likes of which can be found below, and we'll be sure outline the third once we discover it. 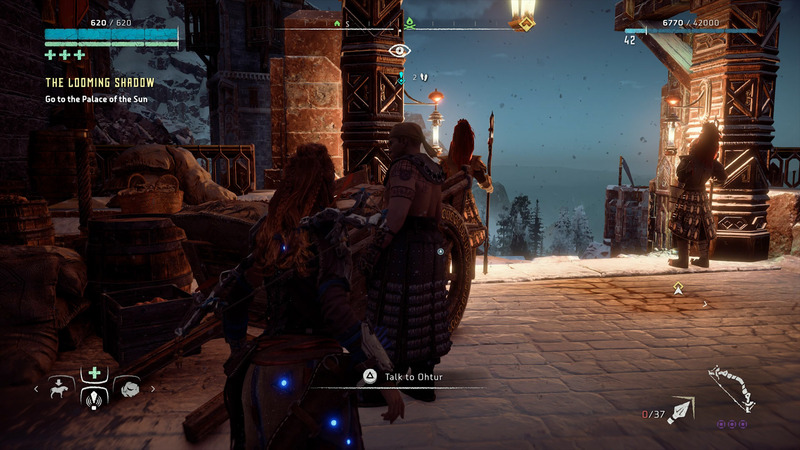 One of the easiest ways to start up The Frozen Wilds is to head over to Daytower, the settlement just on the eastern outskirts of the Carja territory. It shouldn't be hard to find — the city is basically in the center of the in-game map. Once arrived, keep on the lookout for the trader named Ohtur — he'll be doing his thing somewhere near the entrance to the city. 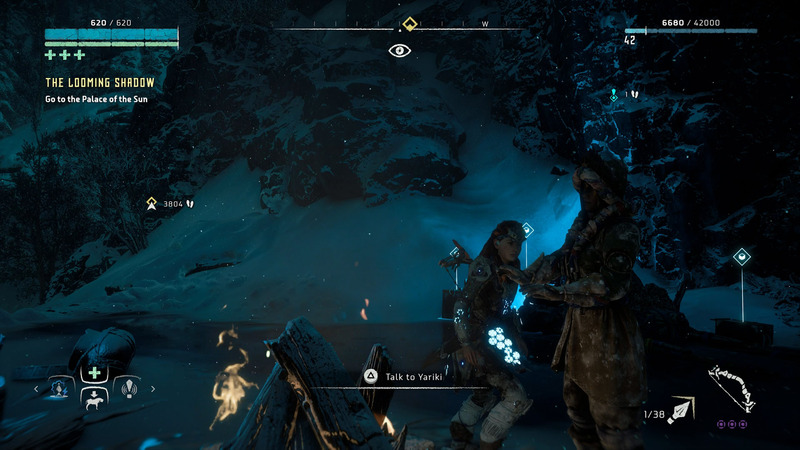 After speaking to him, you'll see a prompt for the beginning of a quest titled "Into The Frozen Wilds," meaning you're now on the right track. This quest will eventually lead you toward The Cut, the new ice- and snow-covered area on the northeastern end of the map. 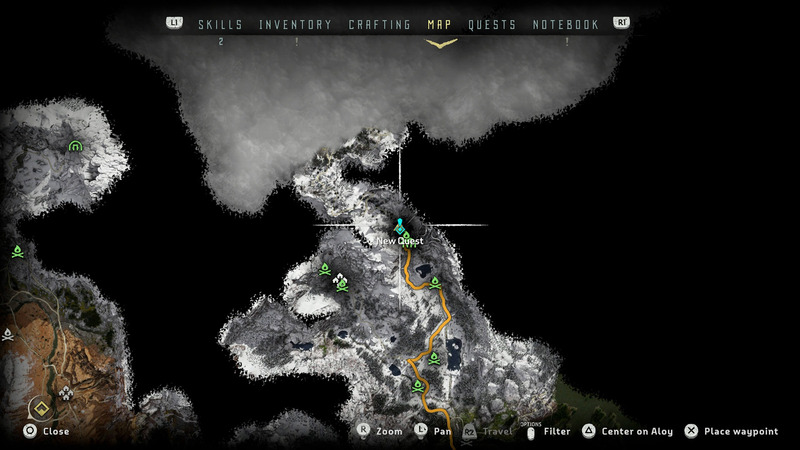 Assuming players are already somewhere near the northern boundaries of the world, they can find another way to start up The Frozen Wilds by heading toward the Grave-Hoard, the old ruins found in the most northerly range of the Longroam. Once you're in the area indicated above, look for the blue lights peppering the nnearby cliffside and follow them up to find a campsite where a woman named Yariki is hanging out. Speak to her to learn about the plights facing The Cut; afterward, a prompt for the "Into The Frozen Wilds" quest will pop up, and players will be pointed northward again toward The Cut. Regardless of how the quest is triggered, once players stumble into The Cut, they'll inevitably encounter Banuk, who will spell out some of the problems being faced by denizens of the region. From there, a number of additional quests will become available, and players can begin to dive deeper into everything available in The Frozen Wilds. Stay on the lookout for continued coverage of Horizon Zero Dawn's latest Frozen Wilds DLC by keeping your browser tuned right here to Shacknews.